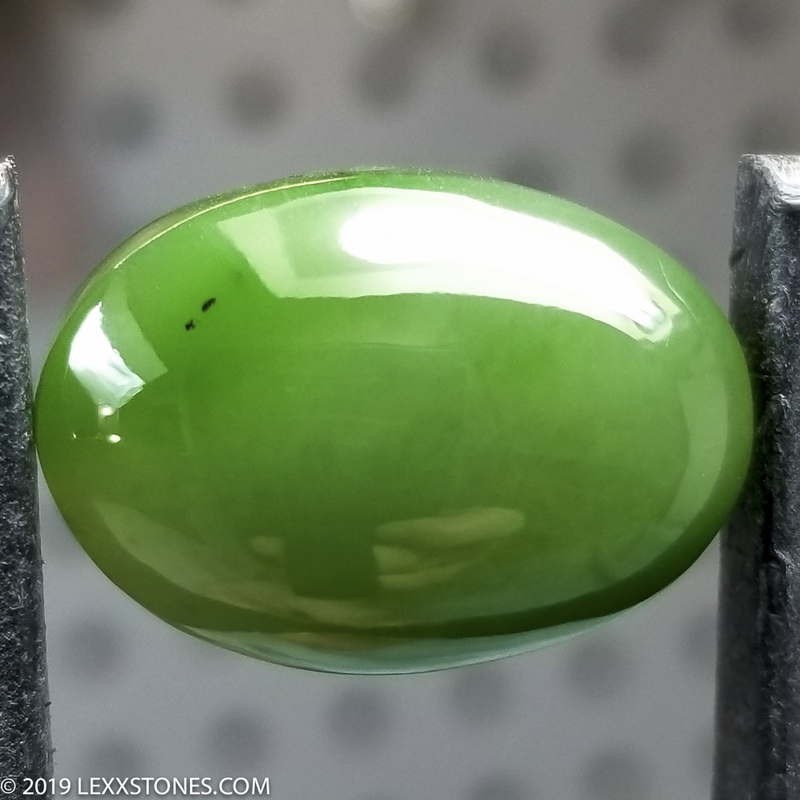 Here for your consideration is an exceptional Siberian Nephrite Jade Cabochon. 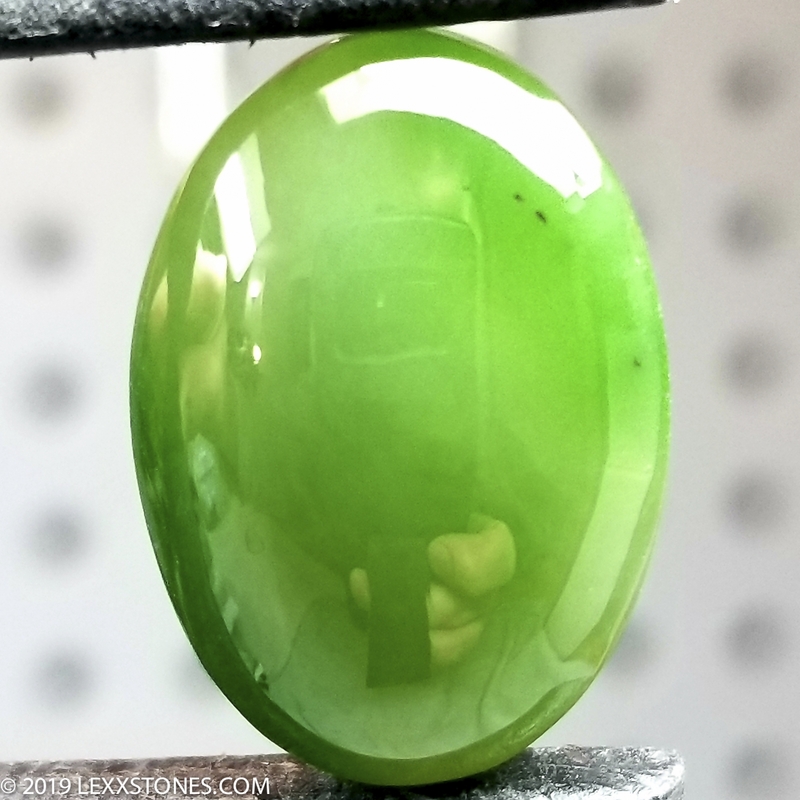 This very scarce material has an impeccably hard, tight grain, and exhibits a lovely bright, deep green that is typical with quality Siberian Nephrite. Stunning near fluorescent translucency. It is a very difficult material to mine as it comes from a very cold and very remote area of the Eastern Sayan Mountains of Russia. 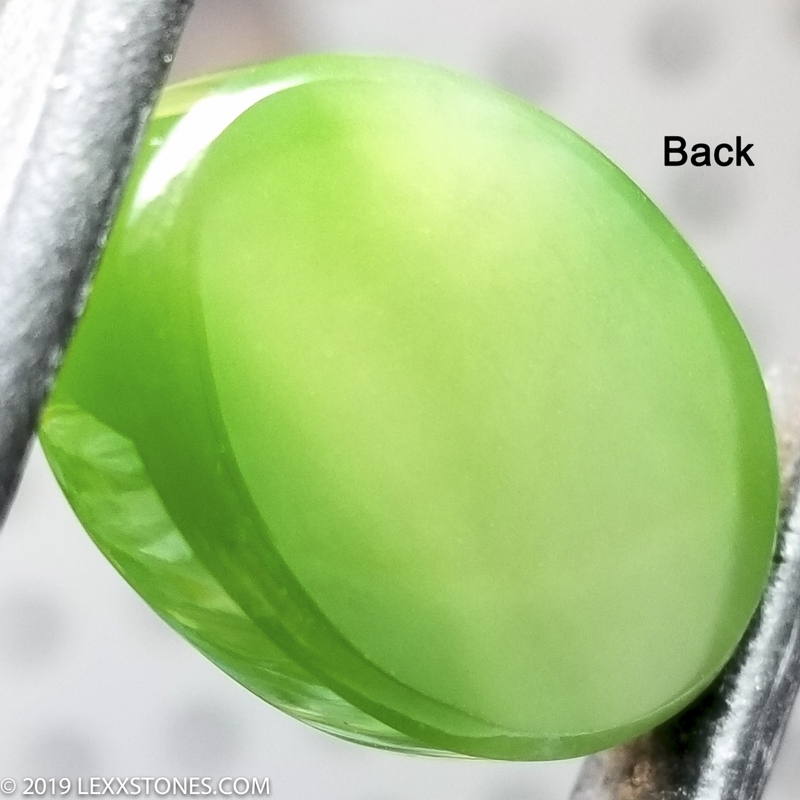 Vitreous polish front and back. Standard radius dome. 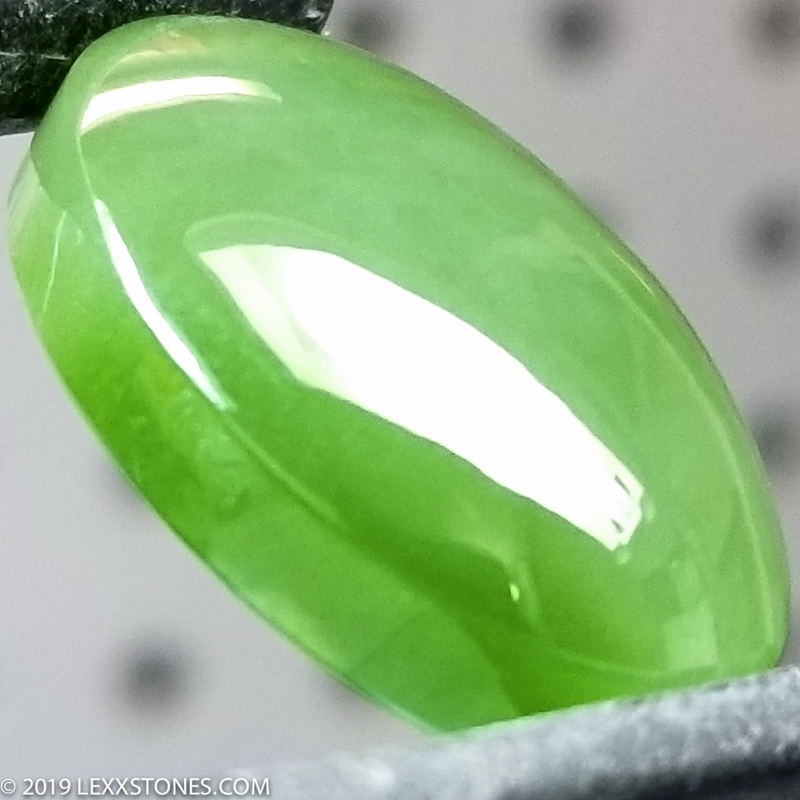 A must have for the quality Jade collecting connoisseur. A wonderful focal piece for your next metalsmithing, wire wrap or woodworking project. 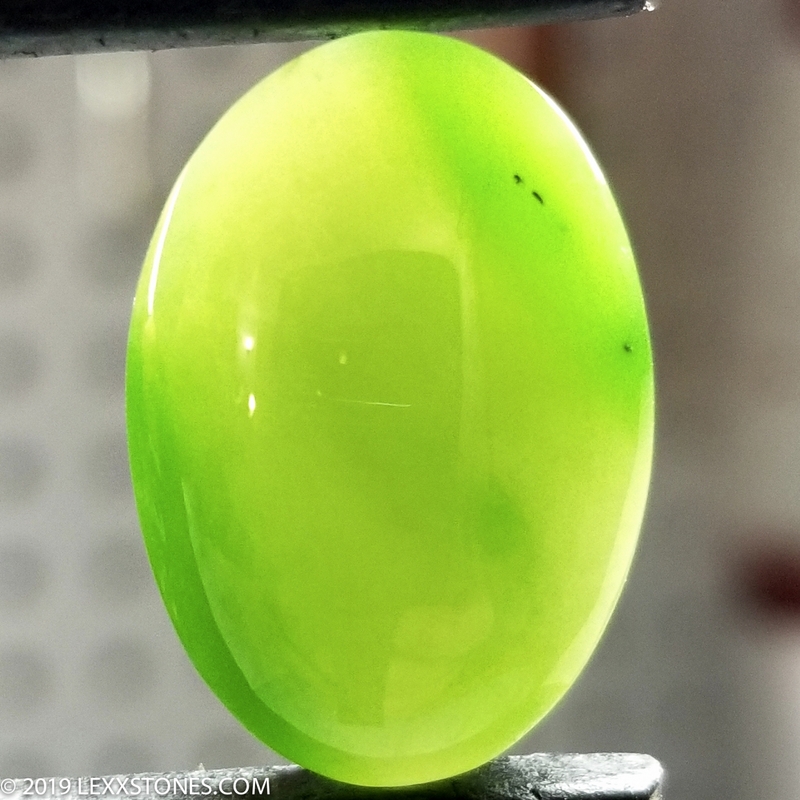 A killer ring! A perfect heirloom as well. Use your imagination! 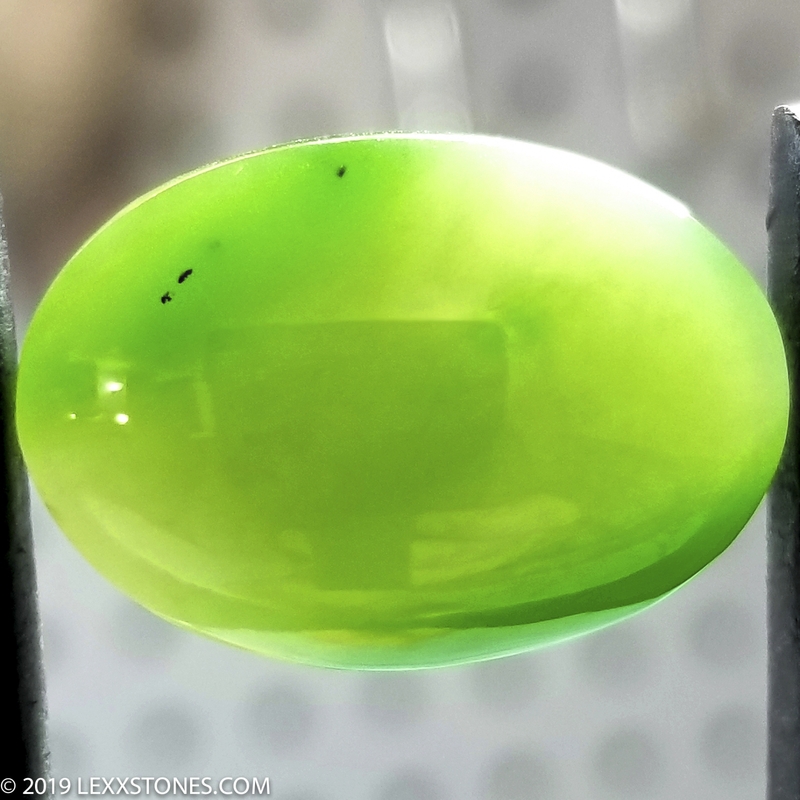 Hand cut and polished by Lexx. Come join us at TheCuttingRoom.net !